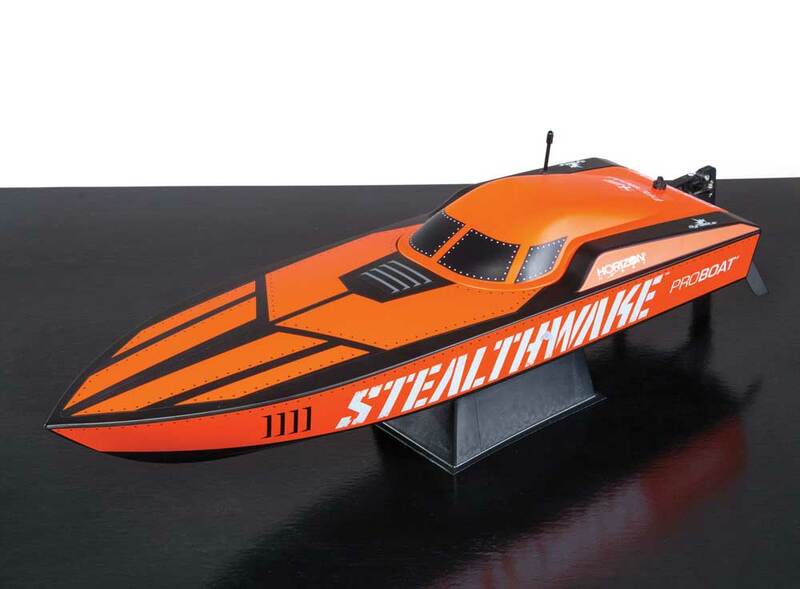 While I’ve been building, racing and bashing radio controlled cars and trucks for more than 25-years now, my affinity for hobby level boats is fairly new (only 10-years) by comparison. Sure, I was able to get up speed on boats rather quickly, but the terminology on some simple things like front, back, left and right is different when talking about a boat. To get all those newer to radio control boating up to speed on the proper lingo I’ve compiled a list of basic boating terms every RC boating enthusiast should know. BEAM—The width of the boat at its widest point. BOW—This refers to the front end of a boat. CAVITATION—When the propeller spins too quickly in the water caused by an overpowered motor or incorrect prop size. KEEL—The centerline of the boat. RUDDER – A vertical piece of wood, aluminum or composite on a hinge located at the rear of the boat used to steer the vessel. STERN—This is the back end of a boat. STARBOARD AND PORT—When you are in the bow of a boat and looking forward the right side is known as the starboard side with the right front being called the starboard bow while left side is the port side with the left front being the port bow. The right rear is the starboard quarter with the left being the left being the port quarter. SPONSON—Projections on each side of the boat that aid in floatation and stability of the boat as well as lift. STRUT—The bulky mount that supports the driveline. TRANSOM—The flat surface on the back of the boat where the rudder hardware and turn fins or trim tabs are mounted. TRIM TABS—Typically aluminum or carbon plates that extend off the transom. The angle of these plates can be altered to tune the boat’s attitude in the water at speed. TURN FIN—An aluminum, plastic or other composite material platelike component typically knife-edged and possibly with a semi-tear drop shape. Helps guide and keep the boat stable during turning. May be mounted on a sponson or the transom. There are plenty more terms I could throw at you but these are the basics that every radio control boater needs to know. So, next time you are out with your friends at your local pond drop with your favorite boat drop few of these terms and see if they know what you are saying. Perhaps then you could give them a lesson in basic boating terms!